The Gemma’s are everything you need out of a crystal earring, omitting a glow to fit both your daytime and twilight escapades. 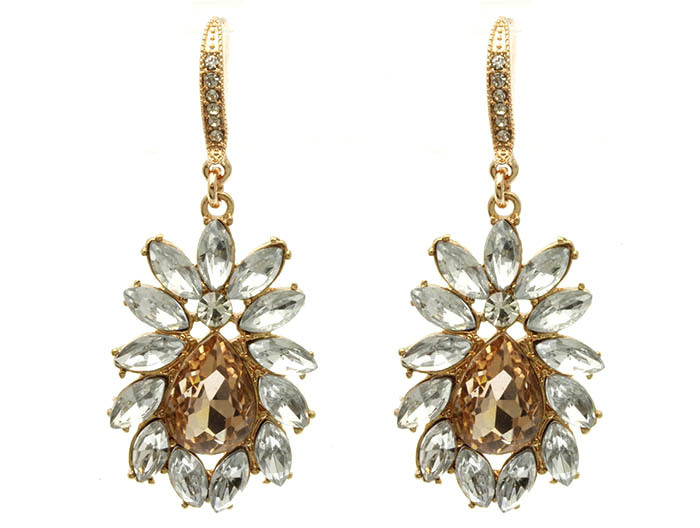 A heavenly cluster of faceted glass beads in golden bronze and pristine quartz form a symmetrical motif, suspended by a small cast gold drop of pavé-set crystals. The definitive investment piece for your collection.